Sewer Pipe Cleanout or Repair? How do you know if you just need a sewer pipe cleanout or a repair? A few early warning signs of either include stinky smells coming from your drains. Other signs include slow-draining, gurgling pipes, along with backups in toilets or showers. If you spot any or all of these symptoms, call Hubb Plumbing right away. Your main sewer pipe can become clogged and cause backups just like any other drain in the house. The telltale sign that it’s the main sewer pipe is when every flush creates a sewage backup in your home. 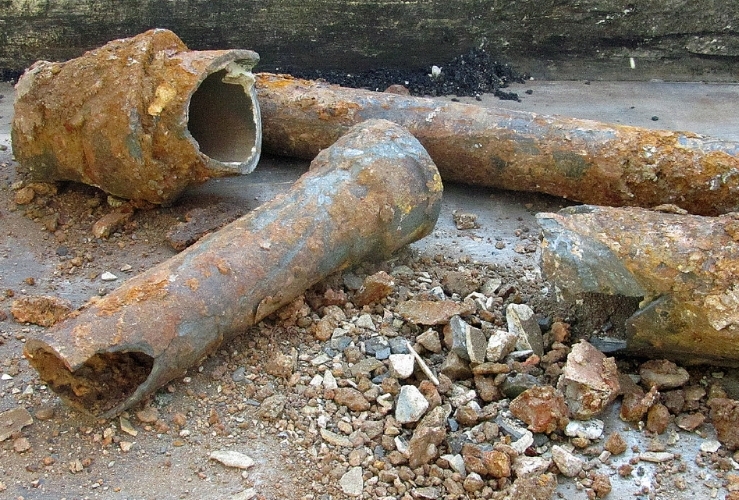 The problem could just be a temporary clog – a sewer pipe cleanout can remedy the trouble. Tree roots are another common cause of home sewer backups. They can block and even break older pipes, causing damage to the sewer line. Even if your yard is mostly tree-free, roots from neighboring yards could be a problem. If you find yourself frequently needing to call a plumber to “snake out” the pipes in your home, it may be hinting at a larger, more serious issue. If your home is older, your sewer backup could simply be caused by cracked or collapsed lines. Although many newer homes have plastic sewer lines, older homes were built using cast iron and clay piping that can break at some point in time. 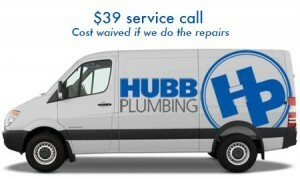 If you have sewer smells in the house or frequent plumbing backups, it’s time to call Hubb. We can offer a simple sewer pipe cleanout or complete sewer line replacements. Give us a call and let us check out the details. Serving homes and businesses in Snellville, Grayson and Lawrenceville GA. I appreciate how you said that your sewer pipe can actually clog. I didn’t know that it could usually be temporary. My parents are looking for HVAC contractors to hire because they think they need their sewer or drain repaired.